I have five Treeing Walker Coonhounds. My Suki's favorite activity is sleeping (she's 13). Kyoko's is eating (she was nearly starved to death, and eats like she still is, even though she's now overweight). The other three - Ran, Kenji and Seiji, love just running around and playing together in our yard or going for long walks with me. Our George is old and lazy he loves to take long naps in the sun but he loves to be loved and petted most of all! Glad to hear that Venus and Ocean loved them. Chuy really loved them too! Great post! My pup loves running around our yard. he goes crazy. And right after a bath, he is such a spaz. lol he has so much energy like he just drank tons of coffee. Our dog need some of these. 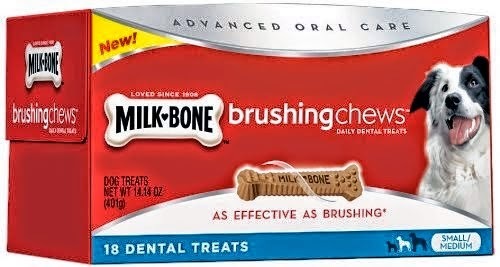 We always alternate with our dog's "brushing" treats. These seem great to add into our rotation. Thanks for the info! Going for a walk. Going outside makes him so happy! He loves to go to the park, too. Even looking out the window makes him happy. Brutus the boxer likes to wait until we fall asleep and then steal bread off the kitchen counter if he can reach it. It';s his favorite passtime. Oh, and chasing squirrels in the yard.